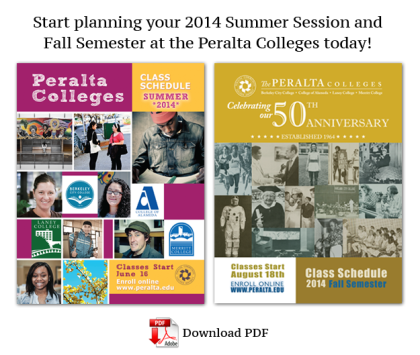 Peralta Colleges Department of Public Information has developed an online class schedule that can easily be accessed from any mobile device as well as by computer. 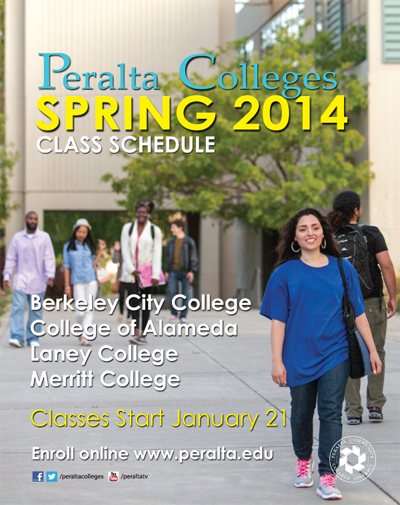 The Spring 2015 Class Schedule “flip-book” can be found in the right column of Peralta’s homepage and makes it easy for students to view the schedule on desktops, laptops, tablets, phones and other mobile devices. It features search, an index and other functions that make it simple to look up classes by college or discipline. The flip-book can also be accessed here. The Department of Public Information will continue to publish the printed class schedule, but this new electronic schedule is part of our digital engagement efforts to make our online content and websites mobile-friendly and thereby more easily accessible to students and the community. 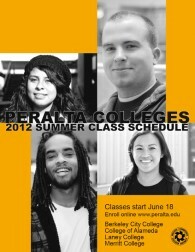 The Peralta Colleges Summer 2012 Class Schedule is now available for download! 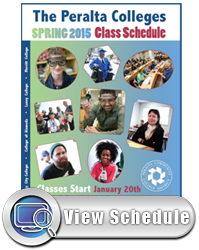 Download the Summer 2012 Class Schedule NOW! 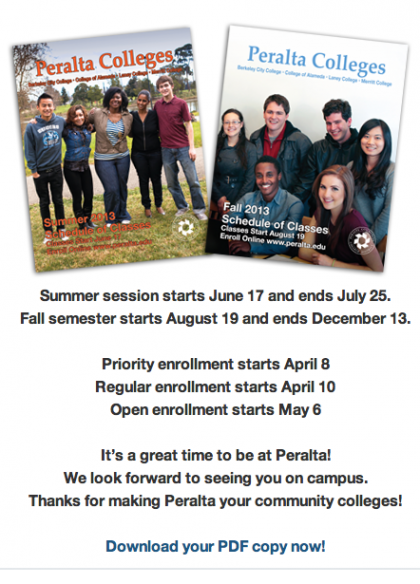 The Peralta Colleges Fall 2012 Class Schedule is now available for download! 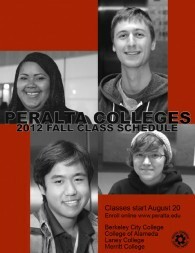 Download the Fall 2012 Class Schedule NOW!